Why do so many men struggle once they leave the workforce? Isn't it what they've been working towards for their entire career? 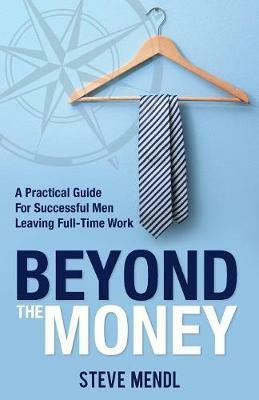 When successful men make the move out of full-time work into the next stage of their life, many are challenged by the transition. Though they've got the finances sorted, money's the first - and often only - thing they tend to concern themselves with beforehand, when it's actually the last thing they need worry about. Beyond the money, there's now an extra forty to sixty hours a week that they have failed to plan and prepare for. At long last here's a book that explores seven wealth areas - beyond the money. Aged between forty-five and sixty-five and planning to leave the full-time workforce. Wondering what you will do with an extra forty to sixty hours a week and wanting to avoid falling off the 'retirement cliff'. Feeling hesitant about one of the biggest life changes that people go through. Eager to make the next stage of your life meaningful, satisfying and enjoyable. Publisher Grammar Factory Pty. Ltd.
"This is a great idea for men who may struggle with the next stage of their life, and even as a middle-aged woman who's still working full-time, I could apply a lot of the information to my life. It provided a good step-by-step approach, it was easy to read, understand, and useful. I really liked the activity on defining your values."